Chutney’s are savory preserves that can add flare to your favorite dinner meals of pork or chicken but they can also dress up a ham or turkey sandwich. They have a smooth jam like consistency with the additional complexity of a sour and/or savory element. This recipe comes from Mary Anne Dragan’s canning book Well Preserved and it’s a great one to try over the winter months when these ingredients are readily available at your grocery store. 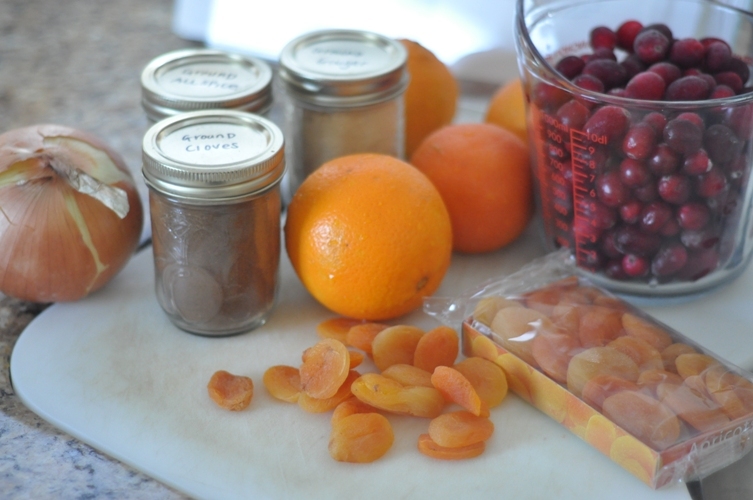 Some of you may even find cranberries, dried apricots and oranges kicking around the kitchen (as we did). 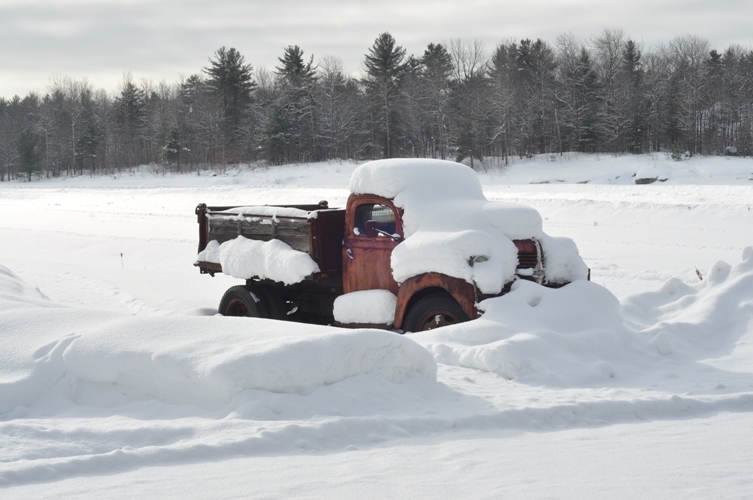 This is the same olde truck we photographed at the marsh this fall...behind the truck are the cranberry fields covered in a couple of feet of snow. 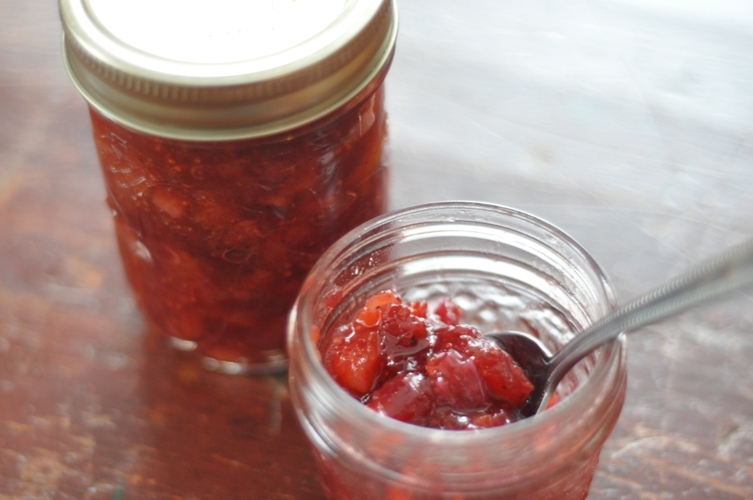 So, put away the winter blues by getting your toes wet and ready for the upcoming canning season by making this preserve. It doesn’t get much simpler than this, as all of the ingredients go in at the same time…how easy is that!?! And, despite being simple to make, this savory preserve tastes great with a sweet burst of refreshing flavours similiar to a winter marmalade. It’s a great combination and a perfect recipe for first time canners. Give it a try…you won’t be disappointed! Prepare for water bath canning. Slice the orange very thinly, discarding the ends and seeds. Chop very finely. 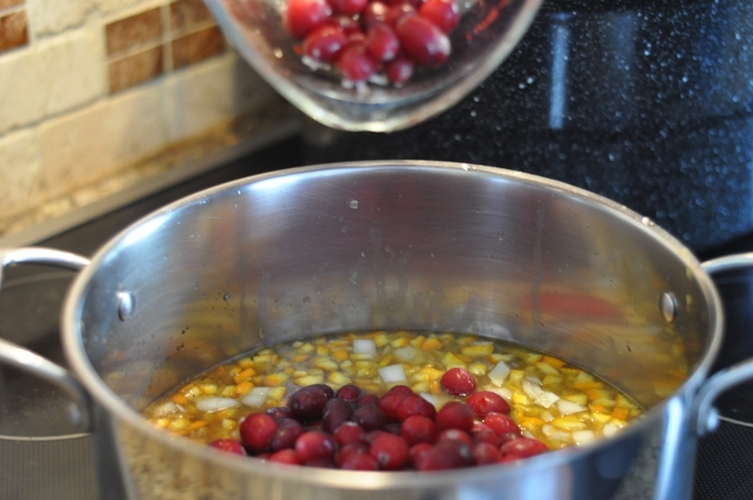 Combine ALL the ingredients into a stainless steel preserving pan and bring to a boil over medium heat. Simmer, stirring often, for about 20 minutes, or until the mixture thickens. Remove from heat. Ladle into hot sterilized jars, leaving 1/2″ headspace. Wipe rims with a damp paper towel, add lid, and ring adjusting it to finger-tip tight. Process 250ml jars in boiling water bath for 10 minutes and 500mL jars for 15 minutes. Remove lid and wait 5 minutes before removing the jars. Check seal, label, and store in a cool dark place. 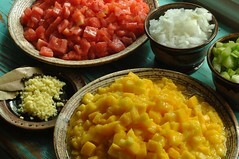 While chutneys are quite good straight off the stove, the flavours will mature in the jars. We try to wait at least 1 month before busting into them…but if you can wait longer (3 months or so) they taste even better. Note: the pH level on this preserve (for us) tested below 3.50. I like the sounds of this. Yum! Ooooh, I love chutneys! Especially with pork!